In nature, narwhals live in cold latitudes and represent some kind of whale with a long tusk. 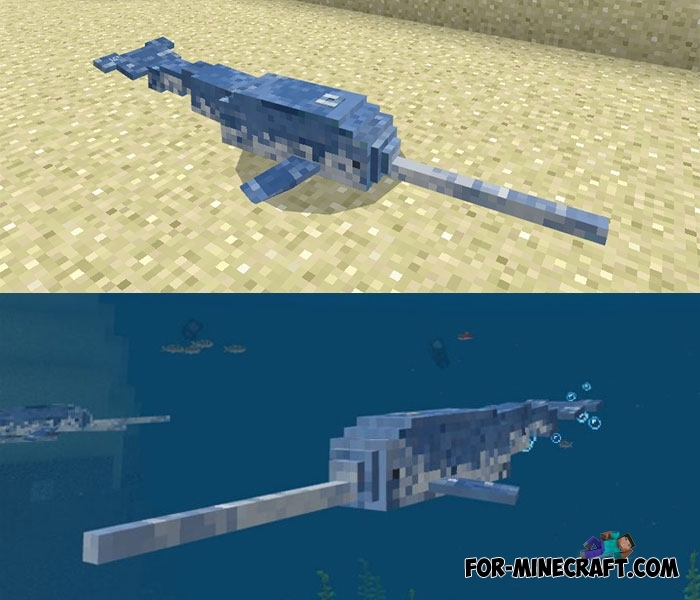 This is a very rare animal that is very difficult to find, but it is much easier to make it in Minecraft BE. Dolphins are the base for the narwhals which means their spawn in the seas and oceans but only warm biomes. Unlike real narwhals, these appear exclusively in the tropics. Narwhals do not have any specific features: like dolphins, they are neutral to all creatures including the player but will defend themselves if you make a punch first. Download the Archeology addon to add a few ancient, already extinct animals that lived on Earth several thousand years ago. 1. 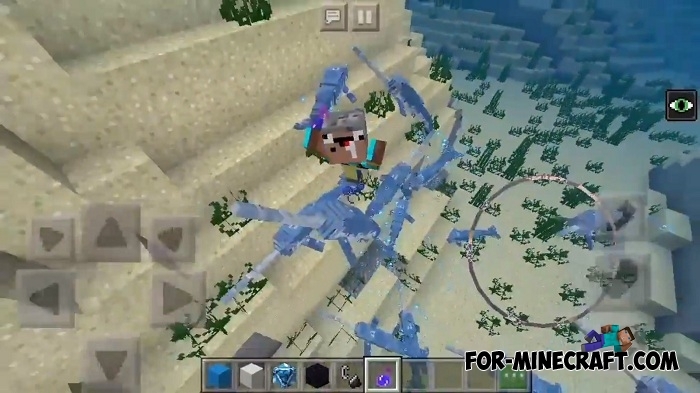 Open the addon (.mcpack) using MCPE. 2. Activate the addon (go to world or game settings).